Climate change has become a very popular buzz phrase as of late. Scientists are now in agreement that an ecosystem (interacting life forms with their environment) impacts your health. Lifestyles that release greenhouse gases and fewer green space that filters the air results in respiratory illnesses. BBC News reported where “long-term exposure to air pollution contributed to more than 28,000 deaths across the UK in 2010”. Know that the atmosphere is not bounded by limitations to the movement of pollution. Ecosystem Health Theory is the name used to describe this agreement where natural or human activities may cause negative health outcomes reports Tarocco and his colleagues. Your eco-literacy skills are enhanced when reading this article. 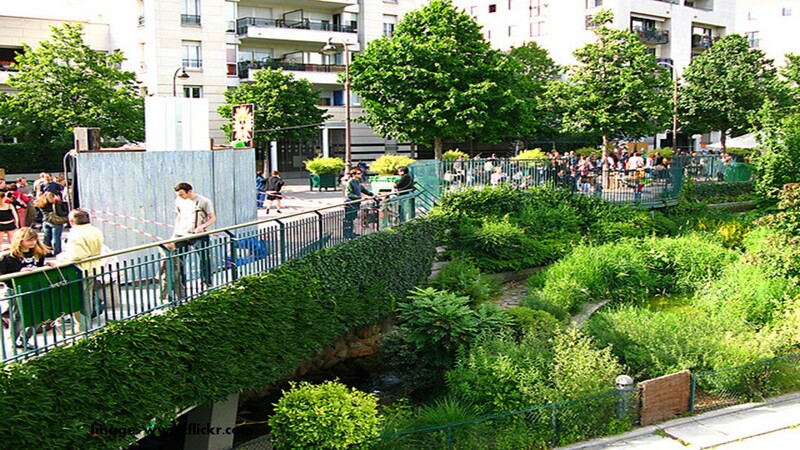 You may have an interest on how an urban ecosystem impacts your health. Urban simply means an area that is composed of both artificial human-made and naturally created environmental ingredients. You do not need to know everything to understand how you may be impacted by your environment. It is similar to an automobile that is composed of many mechanical parts. You do not need to know how the whole mechanical ecosystem works. All you need to know is how to drive the car to get you where you want to go. You do not need to know all about the bits and pieces of the urban ecosystem. What will help you to adapt and survive is to know which parts of the urban ecosystem makes you un-healthy and which parts improve your health and well-being. Respiratory infections and illnesses are a major health problem that prevent you from being productive, increases your visits to health professionals, stops you from going to work or school, and causes death. People have strong emotional connections to children so many health studies involve the young’uns. Sharmas’ group discovered that low social class, illiterate mothers, overcrowding, smoking by those who live in the home, or pollution released from fuel sources increase the risk of respiratory illnesses in children. Stress factors and perceptions related to lower socio-economic groups have been found to increase the danger of experiencing respiratory challenges in urban ecosystems coined by Quinns’ group. It was discovered by Lis’ group that respiratory illness in young children results from living close to highways, pets in the home, decorating the home, dampness, and cleaning a child’s room more than once a day. This same study found that airing bed linin in the sun and breast feeding more than three months improves children’s health. Climate Change conditions increase the number and frequency of natural disasters. It is helpful to know that a flooded home or extra-ordinary dampness creates a risk factor for respiratory challenges revealed by Azumas’ team. It is essential to find solutions to ecosystem health challenges as more land is being developed into urban ecosystems. You may find a wealth of information in the EPA health browser where industry, urban environments, and motor vehicles increase the concentrations of atmospheric hazardous pollution and is destroying the quality of the air you breathe. The mysterious benefits generously offered by green critters provide relief from respiratory distress. It has been found that increasing the amount of ‘green space’ reduces respiratory illness mortality rates in males reported by Richardson and Mitchell. Although the results may be impacted by a male’s perception of the natural ecosystem. The facts are reveling themselves in another study where more greening of the landscape reduces the onset of respiratory troubles with infants that have been exposed to traffic-related and other urban pollutions coined by Ebisu. The relief is in the solar boosted, dynamic, atmospheric filtrating powerhouse modeled by the green trees, bushes, mosses, algae, and any green life form you are able to discover in your ecosystem. These magnificent green organisms ease and lighten respiratory suffering, lower health-care cost, and lessen days missed from work and school. Up to or more than 20% of the atmospheric pollutants may be sucked out of the air depending on the number of trees or amount of green space that may be found in your ecosystem reported by the EPA. The Environmental Protection Agency reports where beautifying roadsides and highways with greenbelts may reduce up to 65% of particles floating within the air. Best results have been realized with deciduous broadleaf trees that thrive during the Spring and Summer. In addition, green walls and green roofs bids relief by absorbing pollutants and decrease energy costs needed to maintain comfortable indoor climates. Join the many “Greenies” around the world and add plants and algae to your ecosystem to improve your health. Azuma, Kenichi, Koichi Ikeda, Naoki Yanagi, Kenichi Hasegawa, and Haruki Osawa. 2014. Effects of water-damaged homes after flooding: health status of the residents and the environmental risk factors. International Journal of Environmental Health Research. Vol. 24:2. Pps 158-175. Ebisu, Keita, Theodore R. Holford, Kathleen D. Belanger, Brian P. Leaderer, and Michelle L. Bell. 2011. Urban land-use and respiratory symptoms in infants. Environmental Research. Vol.111:5. Pgs. 677-684. Li, Angui, Yuexia Sun, Zhijian Liu, Xiaoxia Xu, Hongfa Sun, and Jan Sundell. 2014. The influence of home environmental factors and life style on children’s respiratory health in Xi’an. Chinese Science Bulletin. Vol. 59:17. Pgs. 2024-2030. Quinn, M.P.H., Kelly, Jay S. Kaufman, Ph.D., Arjumand Siddiqi, Sc.D., and Karin B. Yeatts, PhD. 2010. Parent Perceptions of Neighborhood Stressors Are Associated with General Health and Child Respiratory Health Among Low-Income, Urban Families. Journal of Asthma. Vol. 47. Pgs. 281-289. Richardson, EA and R. Mitchell. 2010. Gender differences in relationships between urban green space and health in the United Kingdom. Social Science & Medicine (1982). Vol. 71:3. Pgs. 568-75. Sharma, Dhananjaya, Kumaresan Kuppusamy, and Ashok Bhoorasamy. 2014. Prevalence of Acute Respiratory Infections (ARI) and their determinants in under five children in urban and rural areas of Kancheepuram District, South India. Annals of Tropical Medicine & Public Health. Vol. 6:5. Pgs. 513-518. Tarocco, S., I. Amoruso, and G. Caravello. 2011. Holistic model-based on monitoring of the human health status in an urban environment system: pilot study in Verona city, Italy. Journal Of Preventive Medicine And Hygiene. Vol. 52:2. Pgs. 73-82.